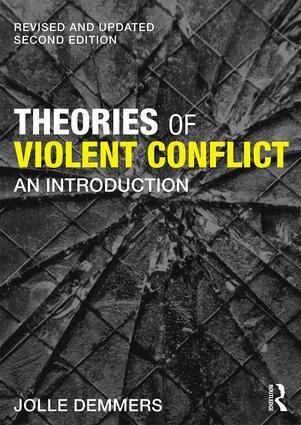 This revised and updated second edition introduces students of violent conflict to a variety of prominent theoretical approaches, and examines the ontological stances and epistemological traditions underlying these approaches. • What makes a group? • Why and how does a group resort to violence? • Why and how do or don’t they stop? The book examines and compares the ways by which these questions are addressed from a number of perspectives: primordialism/constructivism, social identity theory, critical political economy, human needs theory, relative deprivation theory, collective action theory and rational choice theory. The final chapter aims to synthesize structure and agency-based theories by proposing a critical discourse analysis of violent conflict. With new material on violence, religion, extremism and military urbanism, this book will be essential reading for students of war and conflict studies, peace studies, conflict analysis and conflict resolution, and ethnic conflict, as well as security studies and IR in general. Jolle Demmers is Associate Professor and Co-Founder of the Centre for Conflict Studies, Utrecht University, the Netherlands.